All the major supplement companies claim to have the best supplements for muscle growth…and most are lying. Here’s the truth. I was at Vitamin Shoppe the other day and I figured I’d take at look at the fancy stuff they keep locked up in the back. As usual, the cabinet was packed full of loud, shiny bottles that claimed to contain revolutionary natural muscle builders. The names always get me. There was a time when I would buy supplements like these and seriously hope they worked. In some cases I would have sworn they did work. The vast majority of supplements that claim to aid in muscle growth do absolutely nothing. They’re little more than placebo pills and powders and anything you might think is happening is merely a confirmation of how the mind can affect the body. That said, you can accelerate muscle growth with supplementation. There are a handful of supplements that are scientifically proven to work…if you buy and use them intelligently. Which supplements do and don’t help you build muscle faster and why, and how to get the most muscle-building bang for your supplement buck. It’s because of people like you that I get to spend my time writing articles like this that help others get into the best shape of their lives. Testosterone Boosters: Fact or Fraud? Is HMB All It's Cracked Up to Be? Does Protein Powder Help You Build Muscle Faster? 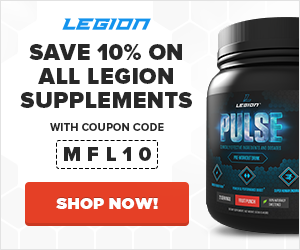 Are There Any Supplements That Improve Muscle Growth? With testosterone levels generally on the decline, natural testosterone boosters have quickly become of the biggest sellers for supplement companies. And if we’re to believe even half of the hype used to sell these products, they’re basically natural steroids that will transform us into musclebound alpha males that make women swoon and men tremble. The vast majority of natural testosterone boosters are completely worthless. No, not “overrated” or “underwhelming”…but WORTHLESS. As in, will do more or less nothing to help raise testosterone levels and absolutely nothing to help you build muscle faster. The formulations for these products usually rely on ineffective ingredients. Small fluctuations in testosterone levels won’t help you build more muscle. The first point is self-explanatory: the ingredients in the products either have no evidence to support their use or have actually been proven to be ineffective in raising testosterone levels. For example, three of the most popular ingredients in these supplements are Tribulus terrestris, ZMA, and D-aspartic acid. Multiple studies have proven that supplementation with Tribulus terrestris has no effect on testosterone levels, body composition, or exercise performance. The research is crystal clear at this point: Tribulus terrestris simply doesn’t raise testosterone levels or help you build muscle or strength. End of story. ZMA is a combination of zinc, magnesium, and vitamin B6, and its story is about the same. Many people’s diets are low in both zinc and magnesium, which is why I actually do recommend you supplement with these minerals for overall health (here’s what I take). That said, unless you’re quite deficient in zinc, ZMA won’t increase your testosterone levels. Thus, it’s a bit disingenuous to call zinc a “testosterone booster” because a) it won’t influence most people’s testosterone levels at all and b) when it does, it’s not raising the absolute ceiling of natural testosterone production–it’s simply eliminating a micronutrient deficiency that is suppressing testosterone production. D-aspartic acid is the most promising of the trio…but don’t expect much. Research was published in 2009 that shows that D-aspartic acid could increase testosterone levels in both humans and rats, and supplement companies had a field day. Bottles flew off the shelves as guys tried to get any and every muscle-building edge possible. Well, two more studies on D-aspartic acid supplementation have been published since the 2009 one, and they help put this amino acid into perspective. What you need to know is its testosterone boosting effects are unreliable and temporary. That is, some people may see an increase in testosterone and some won’t, and in many that do, the effects will be short lived. Relatively small fluctuations in testosterone levels–which is the best you could hope for through natural supplementation–have basically no effect on strength or muscle growth. That is, if your testosterone levels are right-down-the-middle normal, and you increase them to a high-normal, you may feel a little better and notice a boost in libido…but it won’t enable you to build more muscle. So, all this is why natural testosterone boosters are just a waste of money and will never deliver the type of results you want. Open any fitness magazine and you’re going to see at least a handful of advertisements for human growth hormone (HGH) boosters. And do you know what those supplements are going to do for you? Absolutely nothing. One for one. Without question. And the long story short is many of these ingredients have no effect on growth hormone production and those that do aren’t powerful enough to confer any real benefits. Take, for example, the moelcule gamma aminobutyric acid (GABA). Research shows that supplementing with this compound increases post-exercise growth hormone levels…but this transient increase will do nothing in the way of improving muscle growth. Another bestseller is deer velvet antler, which is used in Traditional Chinese Medicine for various preventative health purposes. Like with testosterone boosters, there’s a bigger picture to consider as well. Research supports the well-known fact among chemically enhanced bodybuilders that growth hormone alone doesn’t help you build more muscle–it must be combined with large amounts of anabolic steroids to have this effect. If directly injecting the hormone every day doesn’t help you build more muscle and strength what could a natural supplement that can, at best, slightly increase daily production possibly do? Research shows that fluctuations of anabolic hormones within natural levels has little-to-no effect on muscle growth. Someone with a middling anabolic hormone profile can do more or less as well in the gym as someone with a superb one. So there’s no need to waste money chasing minor increases in testosterone, growth hormone, or IGF-1. Save your money and skip the HGH boosters. Is HMB All It’s Cracked Up to Be? HMB (beta-Hydroxy beta-methylbutyric acid–a mouthful indeed) is a metabolite of the amino acid leucine, and it has been making the rounds as a powerful new muscle builder. The problem, though, is that the few studies used to sell these claims were conducted by Steven Nissen, the inventor of HMB and owner of the patent. And when many millions of dollars are on the line, you’d better believe there’s an incentive for shenanigans. Well, lo and behold, when you look at unbiased research on HMB, which has also been conducted with resistance-trained men and not the elderly, it’s much less effective than Nissen has reported. It also has no effect whatsoever on insulin levels, which makes it perfect for use with fasted training. HMB. As you now know, HMB is very good at preventing muscle breakdown, and this means you will recover faster from your workouts and experience less muscle soreness. If you’re like me, and most people, you’ll find that dieting is just more enjoyable with a protein powder, and that’s why I recommend and use them. In terms of an actual product, mine is called WHEY+, and it’s essentially the whey protein powder I myself always wanted. WHEY+ is 100% whey isolate protein, not a blend of isolate and cheaper forms of protein. WHEY+ is 100% naturally sweetened and flavored. WHEY+ is made from milk sourced from antibiotic- and hormone-free cows on small dairy farms in Ireland, which are known for their exceptionally high-quality dairy. WHEY+ has no artificial junk like MSG or artificial food dyes. WHEY+ is made with cold micro- and ultra-filtration technologies. So far I haven’t really delivered on the main promise of the article: the best supplements for muscle growth. Well, now that we’ve debunked the majority of the junk on the market, let’s talk about what actually works. Creatine is a substance found naturally in the body and in high amounts in foods like red meat. There are many forms of creatine available, however, such as monohydrate, hydrochloride, citrate, ethyl ester, nitrate, and others. Which is the best bang for your buck? Well, the long story short is creatine monohydrate is the tried and true winner. And that’s why I went with creatine monohydrate when creating a post-workout supplement for my line of supplements, LEGION. It’s also 100% naturally sweetened and flavored and has no artificial fillers or other unnecessary junk. Now, one of carnosine’s roles in our muscles relates to the regulation of acidity levels. When a muscle contracts repeatedly, it becomes more and more acidic. This, in turn, impairs its ability to continue contracting, until eventually it can no longer contract at all. This is one of the ways muscles become fatigued. Carnosine counteracts this by reducing muscle acidity, thereby increasing the amount of work the muscles can do before they become fatigued. While there are many ways a muscle can fatigue during a workout, by targeting just one (acidity), performance can be enhanced. Well, beta-alanine is a popular supplement because it gets converted into carnosine in the body, which then accumulates in the muscles. This, in turn, increases the amount of work they can do before crapping out. Beta-alanine’s major benefits lie in improving physical endurance and possibly body composition as well. One rather impressive meta-analysis conducted in 2012 involved an in-depth review of 15 studies on beta-alanine as an ergogenic aid (performance enhancer). When you look at the data, 4.8 grams of beta-alanine per day is slightly more effective than 2 grams but there isn’t too much of a difference when the supplement is taken every day. Like creatine, beta-alanine also seems to benefit from a “loading phase,” which allows it to accumulate carnosine in the muscles faster. In this way, a higher dosage allows you to realize the benefits faster. It’s also worth noting that it’s generally thought that people doing higher volume weightlifting programs may benefit from the upper end of the clinically effective range of beta-alanine. Although plausible, this theory hasn’t been demonstrated in scientific research yet. 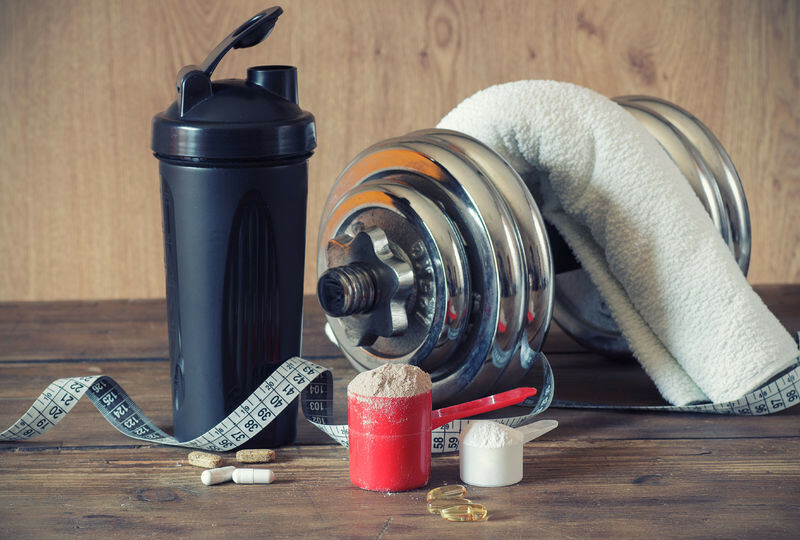 So, given all the above, I think beta-alanine is a worthwhile supplement for boosting both muscle growth and exercise performance, and that’s why I included it in my pre-workout supplement PULSE. When you see a supplement claim it can help you build muscle faster, you should be skeptical. That said, while workout supplements don’t play a vital role in building muscle and losing fat, and many are a complete waste of money…the right ones can help. And you now know the two most reliable ones for building muscle faster–creatine and beta-alanine. Use them and you will make faster progress in the gym. What’s your take on muscle growth supplements? Have anything else to share? Let me know in the comments below! Can Soy Protein Isolate Decrease Your Testosterone?